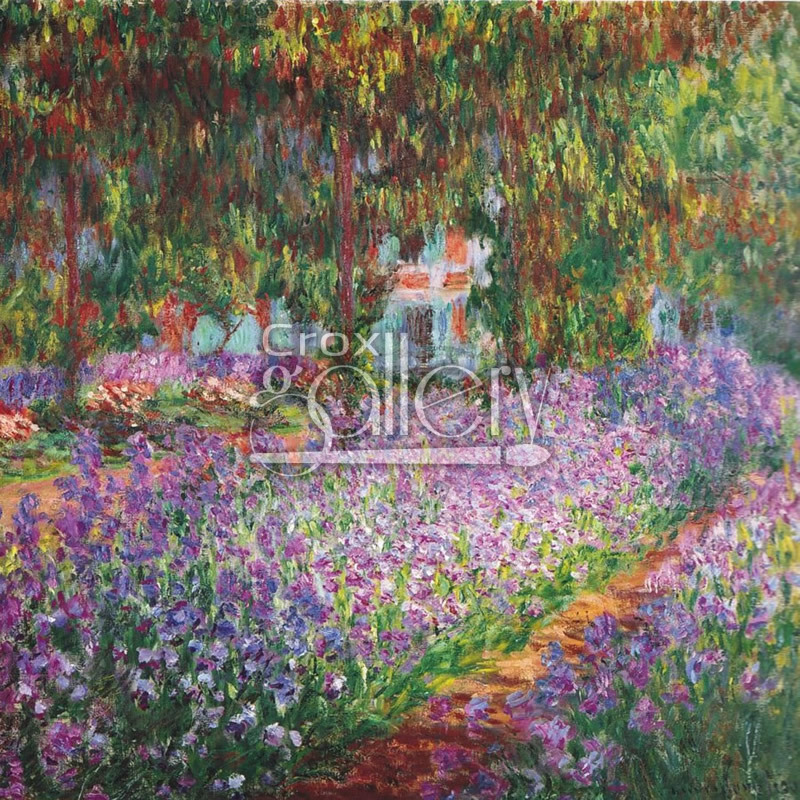 "Giverny Garden" by Monet, Floral Painting. 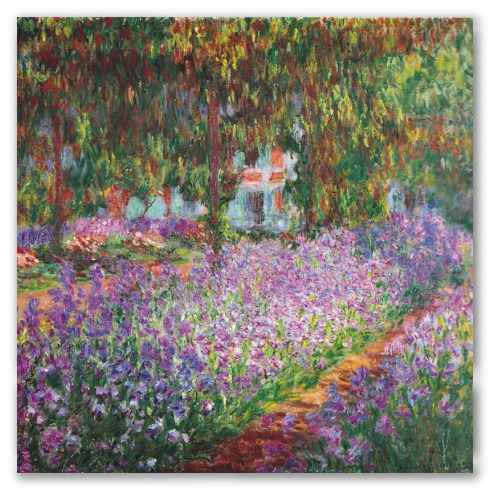 Giverny Garden by Claude Monet, was painted in 1902, oil on canvas, measuring 35-1/4 x 36-3/8 inches and it is currently on exhibit at the Österreichische, Belvedere Gallery in Vienna. The artist did not like the look of the main path leading up to the door of his house in Giverny, so he sprinkled all kinds of flowers in various colors - pink, fuchsia, green, yellow, red, white - along the promenade, instead of the trees. The artist’s wife protested but Monet insisted that the trees blocked the light from the flowers.